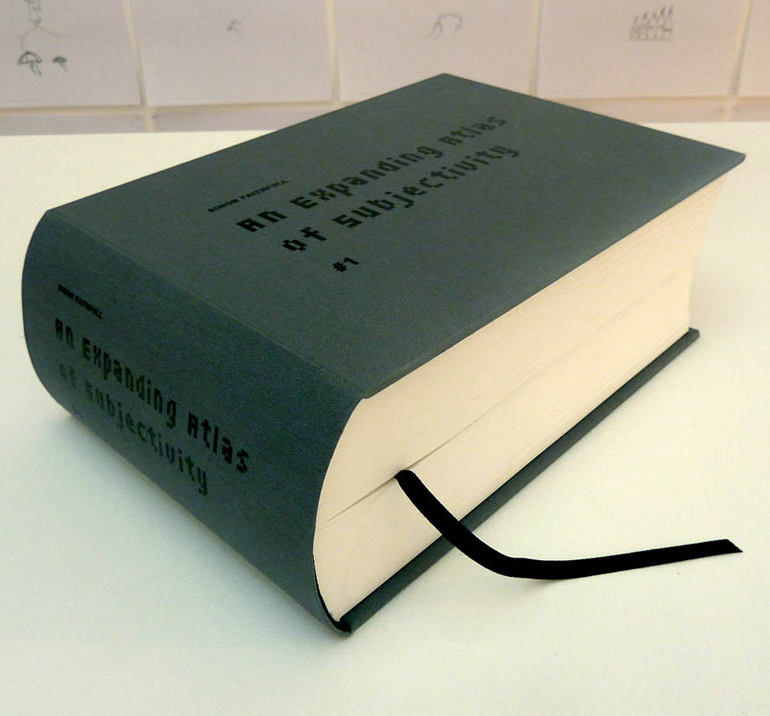 An Expanding Atlas of Subjectivity is a unique artwork in the form of a bespoke hand-sewn bookwork. Whenever a new drawing is made it is now immediately dispatched out to the world via the Limbo drawing service but it is also automatically added to an ever-growing, online database. Each version of An Expanding Atlas of Subjectivity is a paper archive that captures one particular moment from this database. Each time a new book is ordered the latest drawings are always added so that each new book is always thicker than the last and no two books will ever be the same. The bookwork makes physical the body of drawings that has accreted over 17 years – manifesting a personal atlas of the world and mapping time and space as experienced by one individual, on an ongoing basis.